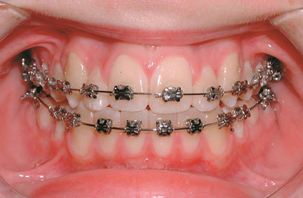 A fixed brace involves using small metal or ceramic brackets and bands which are temporarily stuck to the teeth. 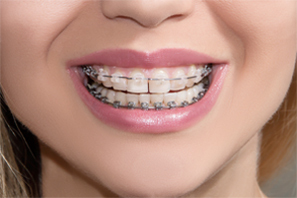 A flexible wire joins all the brackets and allows the teeth to be moved. You can't take the appliance out yourself, so it is called a fixed appliance. 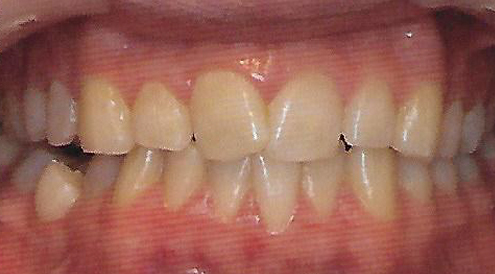 The wire is adjusted over time to straighten teeth. 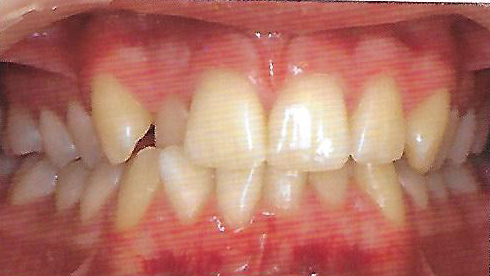 Fine corrections can be made easily with fixed braces. With no plastic plate in the roof of your mouth, your speech and what you can eat will not be affected. Will my mouth be sore in between visits? Your mouth is very sensitive to change and it will take you a few days to get used to wearing your brace. 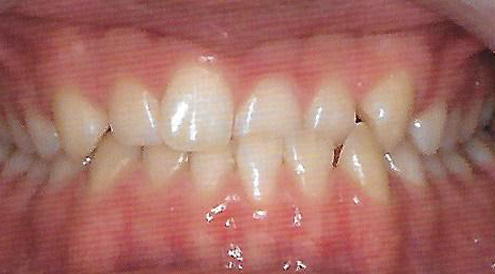 At first, your teeth may feel uncomfortable because of the pressure the brace puts on them. 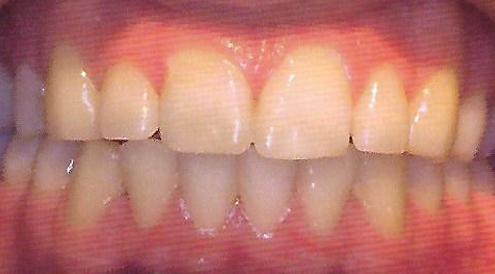 It may also feel uncomfortable and tight against your teeth after it has been adjusted. Painkillers like ibuprofen or paracetamol can help. 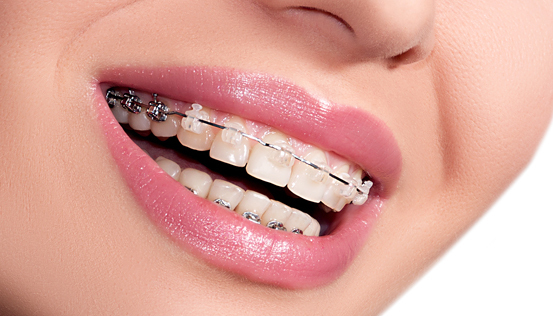 Some parts of the brace may also cause discomfort to your gums and lips, causing sore spots. 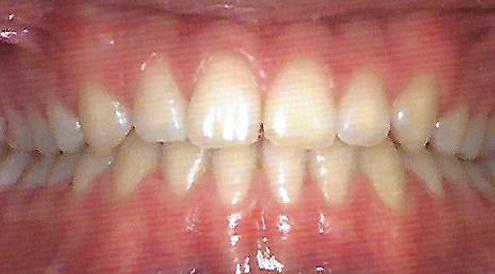 Your dental team or orthodontist can give you a clear wax to put on the part of the brace that is causing discomfort. However, if after a few days any part of your brace is causing continual soreness, you should go back to your dental team or orthodontist. 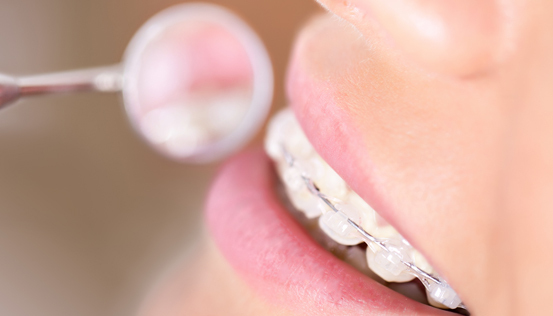 Orthodontic braces usually need adjusting every 4 to 6 weeks. Your treating dentist or the orthodontist will tell you how often your brace will need adjusting. Nail biting and chewing your pen or pencil can damage or break your brace. Why should I look after my mouth when I have a brace? It is very important that you take the time and effort needed to keep your teeth and braces clean. 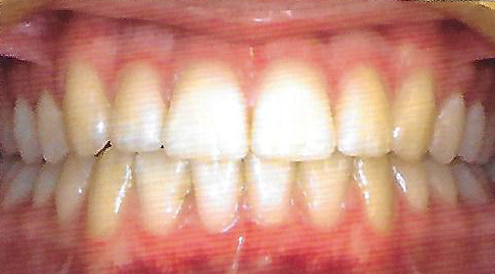 This will help you avoid problems such as tooth decay, inflamed gums, and 'tooth decalcification'. 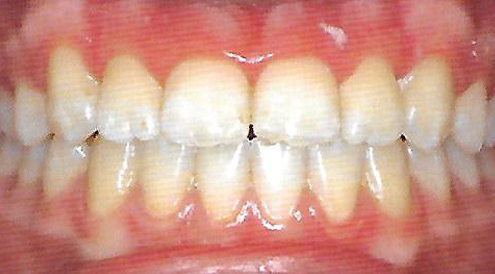 Decalcification is when you lose the calcium from the surface of your teeth, and this may leave white spots on your teeth after the brace is removed. It is also important to keep having your usual dental check-ups with your regular dental team while you are having orthodontic treatment. This is to make sure that your teeth and mouth stay healthy. 1. Clean your teeth carefully every day, including between your teeth where you can. 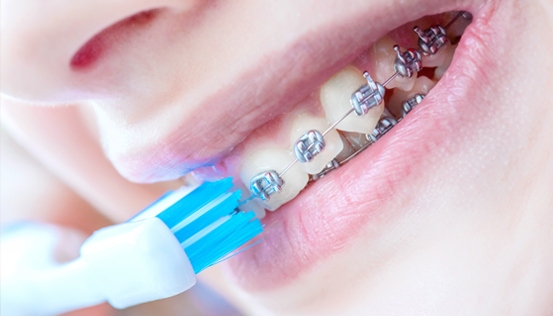 Braces are delicate and you need to make sure you clean them carefully so that they do not break. Your dental team will be able to show you the special techniques to use depending on the appliance you are wearing. 2. Cut down on how often you have sugary foods and drinks. Avoid snacks and drinks containing sugars, and fizzy drinks. Also, sticky and hard foods may damage your brace. 3. Brush your teeth last thing at night and at least one other time during the day. Use a mouthwash if you need to. 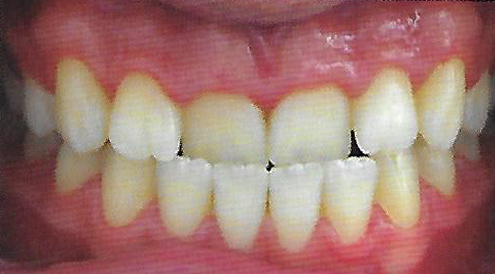 Your dental team may recommend a stronger fluoride toothpaste or perhaps a fluoride gel/mouthrinse, for you to use. 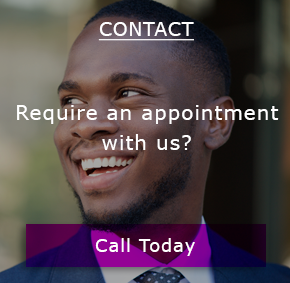 Find out more and contact us for a consultation today on 0126 852 0555.